It’s the end of 2015! What a year it’s been for me. Marriage. Honeymoon in Japan. It’s going to be one of those years I will always remember. Also, what a crop of music! I guess the older you get, the more artists you love begin to culminate. Still, for my music taste, it has been exceptional. 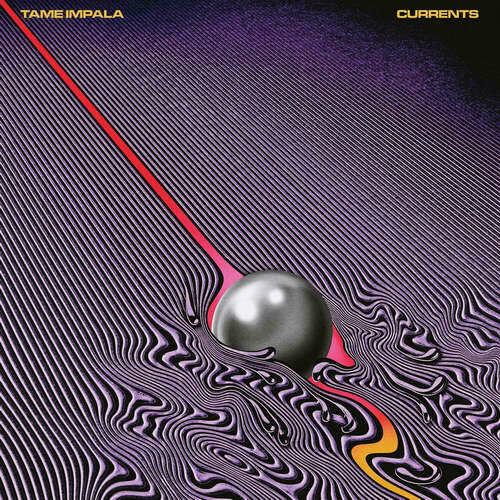 So I figured why not pre-empt future updates on the Acclaimed Albums list, and a possible expansion of that list when I reach 100%, by going through the music of 2015 followed by a Top 20? I listened to a lot of music this year. According to Last.fm, this might be the most varied I have ever been when it comes to sheer number of different tracks. 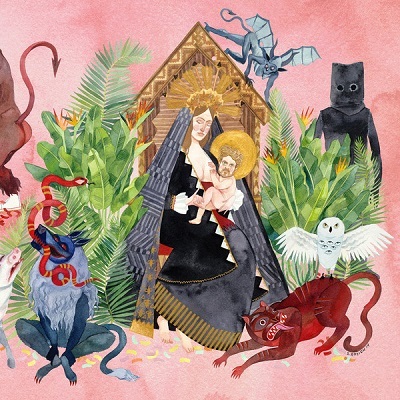 This means that there are quite a few albums that did not crack my personal Top 20. One I am going to rather obviously point out is Kendrick Lamar’s To Pimp A Butterfly. This is the album that will appear on the next update of the list. I know that this makes me some sort of musical philistine, but this is where I am with rap albums. No matter how acclaimed or important it is… I just can’t get to the heart of it. Also, the liberal use of the n-word just makes me plain uncomfortable. I did like ‘King Kunta’ though. Now, for the main event. 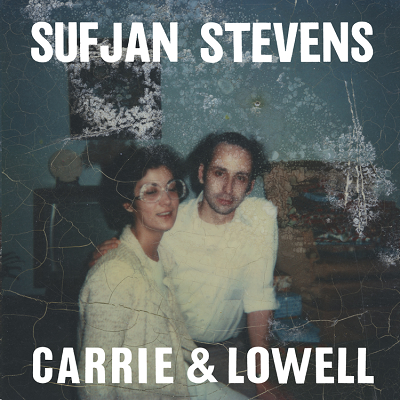 My Top 20 albums of 2015! I know that this is a retread, but there are times when I watch films from this list where I wonder what their significance is to warrant their inclusion. Thanks to having seen The Celluloid Closet a number of years ago I have my answer. The year is 1933, the enforcement of the Hays Code is only a year away, and MGM are distributing a film about a Swedish queen whose sexual preferences were of great contemporary debate. Nowadays the debate is settled, she enjoyed relations with both genders with a leaning towards women and would dress in manly clothes. That they chose to make a film about her in 1933 is interesting enough, the fact that they have a number of references to her preference of women actually surprised me. There is a line spoken by Magnus, one of her male suitors, where he says that he will overlook her proclivities as long as she loves him. Something which maps with an earlier scene where she is discussing a holiday with one of her ladies-in-waiting. 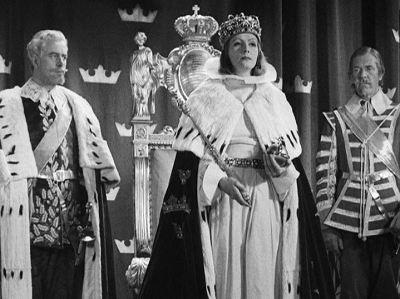 It also features the Queen (a deep voiced and always-glamorous Garbo) cross-dressing in most scenes. There are scenes where people are fooled into thinking that she is a man. Not a chance looking the way she does. Still, suspension of disbelief and all. Plus it did give her the line “I shall die a bachelor” which is deliciously jarring. In terms of the film itself, it was a good enough romantic historical drama to watch when you have pies cooling on the windowsill. The real interest is more how studios were able to treat a topic like a bisexual cross-dressing queen. Apparently by subtle references, a heterosexual love affair with a Spanish diplomat and a wardrobe that spans both genders. Baby steps I guess. We all have those big foods that we dislike. Foods that can make it difficult to order takeaway when in a large group of friends. For me these foods are raw onion and sweetcorn. There used to be a lot more things on this list, but (thankfully) I grew out of this as I got older. Let’s start with the snack food and the main event of this post. 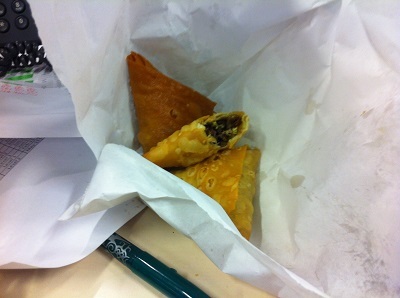 Yes, I have had a lot of vegetable samosas in my time. These ones were from the Ethiopian stand at Startisans, and each samosa had a different vegetable filling. The black bean one being my favourite. 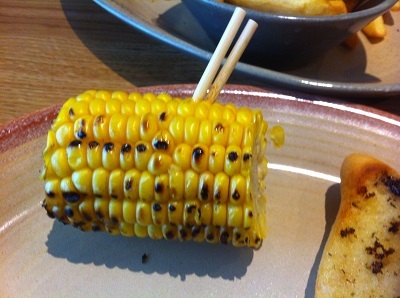 Then there is the corn on the cob, which came after a lunchtime jaunt to Nandos. 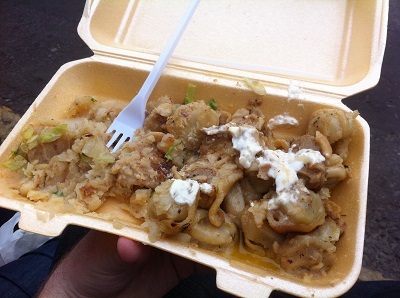 I managed to eat half of it and it didn’t taste bad… just didn’t particularly like it. It’s a step in the right direction I guess. It’s lunch time at a meeting venue. I was lucky that we were able to order of the menu (yay) so I went for the Cobb Salad and the Dessert of the Day. 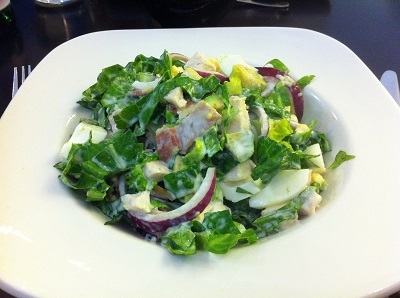 I love Cobb Salad, it is something that I make for special occasions due to the sheer number of ingredients involved. It was a nice enough Cobb Salad at the venue – but I preferred the one I make myself. Can’t beat a good blue cheese dressing though. 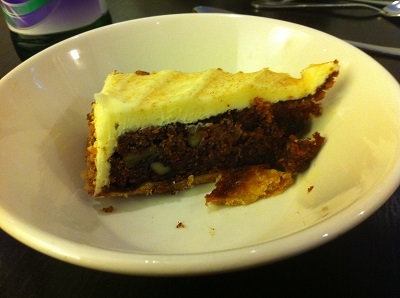 Then there is the carrot cake, not something that I have ever made myself. It’s fine as a cake, but it works better with cream cheese frosting than the icing that I had at the venue. First world problems, right? It took long enough, but I finally got Cumberland sausage. Sure, it is a widely available sausage, but I can not believe how hard it is to find them in the traditional ring form. 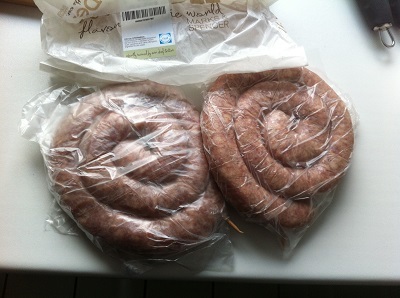 In fact, I don’t think that the picture does the size of these sausages justice. These were XL Cumberland Rings from Marks and Spencer, and they were so huge and gorgeous and meaty and *drool*. Needless to say, I was pretty full after half of one of these bad boys as they just flopped out of the roll. 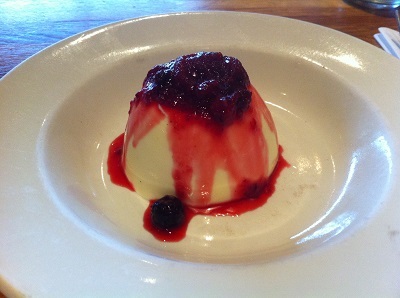 So, the panna cotta came about as I met some of my old teaching friends for a trip to Zizzi’s. It had been over a year since I saw them last. It was a nice catch up with good food and a heap of cream for dessert. There are certainly worse ways to spend a Monday night. Last two of this post. To be honest, I am not entirely sure why this is an entry. Yes, it’s nice. 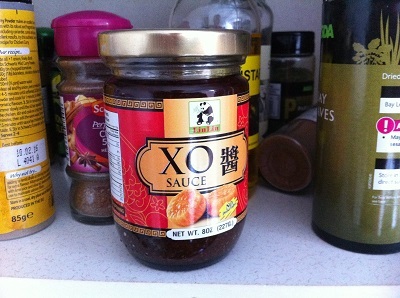 It’s a slightly spicy seafood sauce with hints of garlic, but it isn’t exactly special. A good black bean sauce, now that IS special. 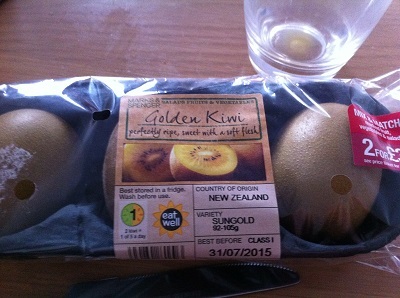 As for the golden kiwi – it is weird having a kiwi that isn’t fuzzy. A lot nicer because of this since you can eat the skin too. The insides were a lot softer and sweeter too. So, I finally got around to reading The Lord of the Rings. In preparation I decided that I would reread The Hobbit to get me into the mindset of Tolkien’s world. Then it turned out that I had not actually read The Hobbit, I just thought I had. So, at least I know for sure that I have read it now! Having properly read it I am now even more pissed off about the movies… but that’s a thought for another time. 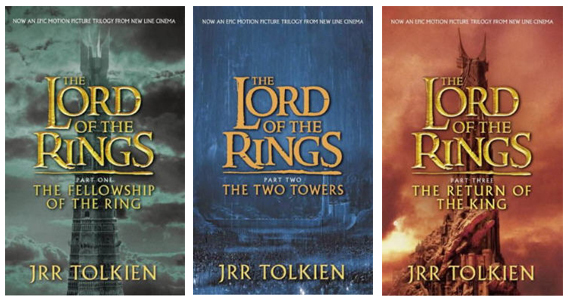 Let’s just focus on the tome that is The Lord of the Rings. I have been put off of reading this for many years. Why? Maybe it’s because so many people have told me about how hard it was to read. Maybe it is because I was told that it was written like a stuffy history book. It was probably both. The thing is, I have read In Search of Lost Time. So no matter how long and dense a book is with hundreds of ridiculous names, it will always pale in comparison. And boy am I glad I finally got to reading The Lord of the Rings, because it was brilliant. It is really hard to read this without mentally splitting it into the three volumes or the six books. I can say with absolute certainty that whilst my favourite volume was The Return of the King and that my favourite book was Book II. I can also say that, without a shadow of a doubt, the second half of The Two Towers was easily the worst section… but it was still pretty damned good. As someone who loved the movies, and saw them in the cinemas every Christmas Eve for three years, I did find it hard to separate the characters from the actors. I will also hold my hands up to say that the books had a better ending, but I can completely see why the film deviated from it. One thing I wish had been kept, which shows my inner sap, was the chapter where Eowyn and Faramir fall in love. Whilst the love story of Arwen and Aragorn is lovely, and required its own entry in the appendices! But this is the better of the love stories. In fact, Eowyn is one hell of a character. In a world full of brawny men riding horses she still manages to kick all their arses and probably had to ride side saddle. I also wish that the film had spent more time with the Ents, but in order to make a profitable movie I can see why they had their parts cut down. Like most people who have read the books I found myself really loving the character of Sam. He is the true hero of the hooks and is the light that shines in the lesser parts of the book. He is such an amazing character because he is the perfect architype of the powerless regular man. He has no music, fame or money, but he is the major/sole reason that the world doesn’t fall into the realm of darkness. Of course I read the books and see him as being in love with Frodo. I know that this isn’t just the gay man in me, it is a very common way to read this nowadays. It wasn’t how he meant to write it. It’s a similar relationship as between Enobarbus and Antony in Antony and Cleopatra. I guess I just find it hard to read characters like that as not gay. This now leaves me with the question of what I should read next. Maybe a shorter book next time… Or maybe I should try and plough my way through Clarissa. Who knows? That’s the excitement of this list. I am so glad that I had read In Search of Lost Time before watching this movie. Within that movie the ‘Dreyfuss Affair’ was a persistent topic of conversation. It meant that going into this film that, despite my lack of knowledge of Émile Zola, I was able to come into this with a good grounding of the social schisms that formed due to this court case. One thing that got me, something I only knew because of reading Proust, is that this film almost completely removes the references to Dreyfuss’ Jewish background. There is one part where you see it on his personnel file – but that is it. The fact that anti-Semitism was a key component in this case and increased exponentially throughout the French populace after his wrongful conviction. I can not quite grasp why these references would have been taken out of the film. My only, cynical, guess is that they thought it would stifle their chance at winning an Oscar. As such, the court scenes, which are incredibly captivating, just felt a bit… lacking. 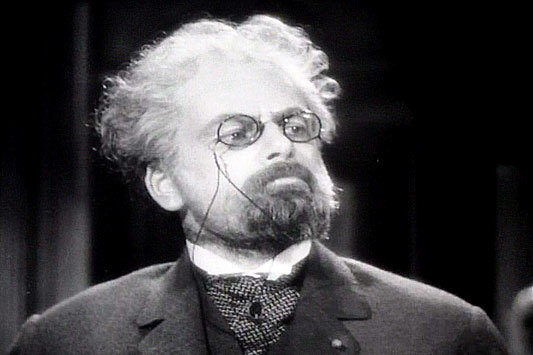 This is no way detracting from the performance of Paul Muni in the title role of Émile Zola. He is a force of nature throughout this film (which makes me think how I really need to see him in the 1932 film Scarface). I can’t judge whether he was robbed as I have not seen Captains Courageous but it would not have helped that he won it the year before. In taking on the role of a semi-retired revolutionary author that has pretty much reached national treasure status who gets embroiled in a massively controversial court case, Muni is really able to give the gravitas required for the role of Zola. He is able to bring likeability to a character who is fairly pompous to begin with and then just grows and grows into the part. Would I suggest this film? Definitely, it is a great history lesson into a case that is profoundly shameful for all concerned. It is a also a great lesson for just how profoundly unfair finally delivered justice can be. 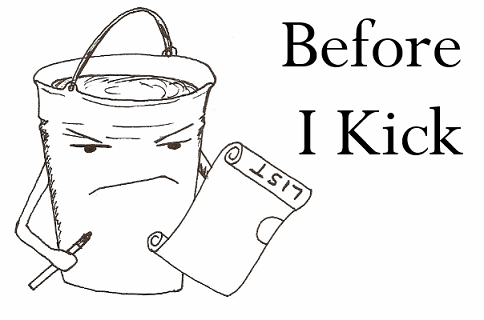 Yes that’s right, I am a clam killer. I did not know that this was the case when I bought them. Stupid of me, I know, but I figured that the clams would be dead. It was only after I washed them and scrubbed them that I realised this – because they began to move and blow bubbles. I felt bad. Worse than when I cooked the whole fish. It’s hypocritical since all meat and fish is killed by someone else, so how is this different to the clams. Plus if I didn’t cook them then they would end up dying of starvation. So I managed to rationalise myself out of that. I followed a recipe from Epicurious for these (found here), but instead of spring onions I just used regular onions. 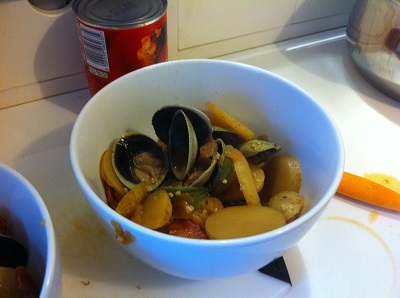 The clams themselves were tender, meaty with a slight taste of brine. They were delicious and I would definitely do this again. 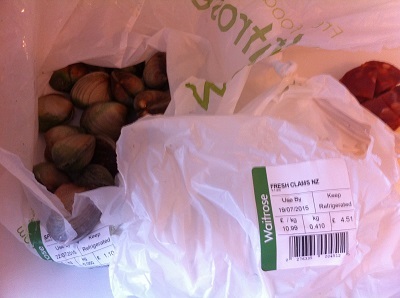 Right, so the clams did not make for a really filling dinner – that is why we also got some pre-made Coquilles St Jacques from Waitrose. 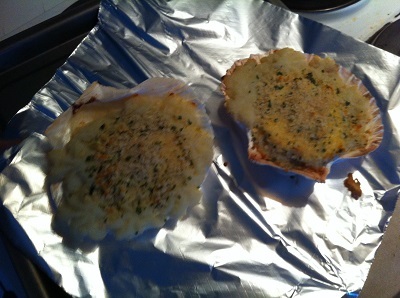 They were brilliant to look at with tender scallops that paired perfectly with the cheese sauce and the mashed potatoes. 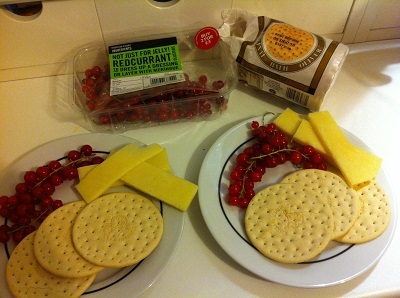 Redcurrants, cheddar cheese and Bath Oliver biscuits certainly make for an attractive looking plate. They all went well together too – unsurprising really when you consider how often fruit gets paired with cheese. 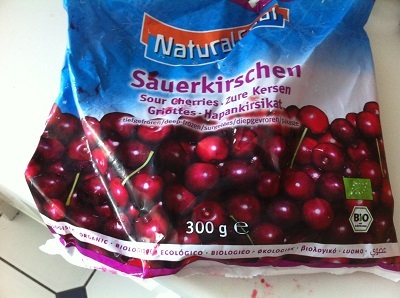 The redcurrants were certainly a lot sweeter than blackcurrants. They still had a tartness, which meant they went well with cheese, but this was not at all overwhelming. They don’t make for great fruit to eat out of hand, but in pairings and sauces I can see that they really come into their own. The Bath Oliver biscuits were, to be honest, fairly standard. I have had cheese and biscuits a lot in my life and these fell like pretty standard biscuits. Granted, they are a bit creamier than your standard cream cracker. Thing is, they cost quite a bit more than the other biscuits and the pay off isn’t that much greater. Short post here. 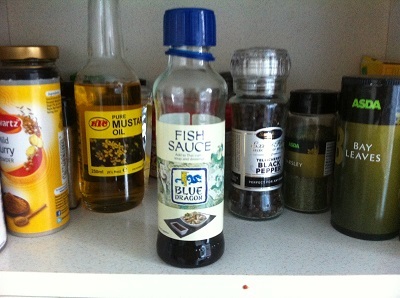 I only just realised what this was a name for and realising this helped me to notice that I am almost out of fish sauce. Thank you book. 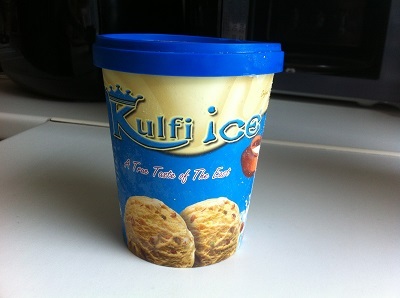 Okay, now how have I never had kulfi ice cream before. I remember back when I ate all those Indian sweets I remarked on the taste of sweetened condensed milk. Never in my wildest dreams did I think this would translate over to their ice cream too! Delicious does not cover it. The fact that mango flavoured kulfi is still to come in the depths of this list makes me very happy indeed. It was a sunny Sunday in July. The DLR was out of commission, thank you engineering works. 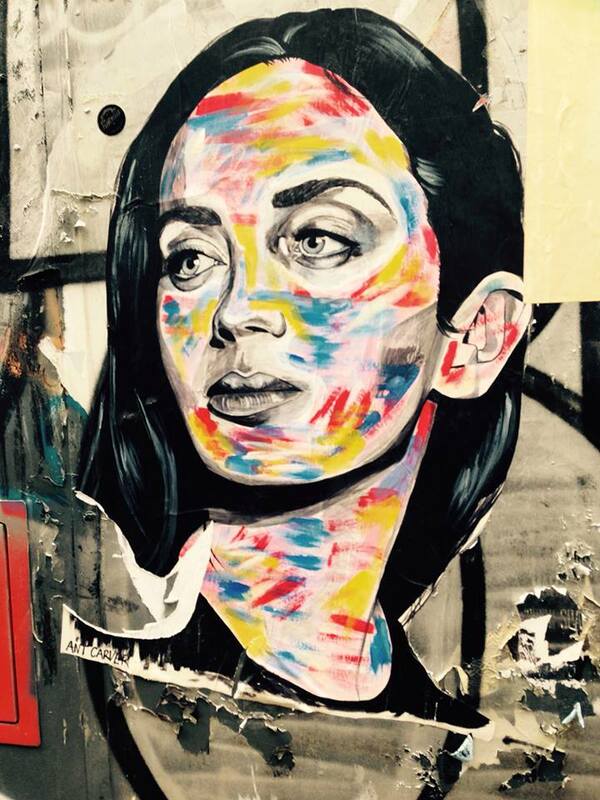 So, a trip to Brick Lane it was! My first time, and it was market day with time to admire all the graffiti. There was so much food on offer, and so many stores selling things I would not find in my neck of the woods. 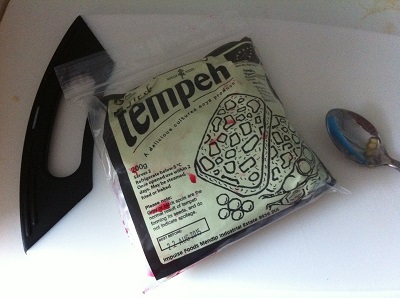 Well, I have to go back at some point for more stuff (like the poutine truck that I apparently missed… boo), but for now I have a bunch of things to write up about, and two things in my food cupboard that I need to figure out uses for yet. Okay, so I know that I did not make this myself. It was made in front of me and I saw the amount of sugar that went in. So wow, that happened. 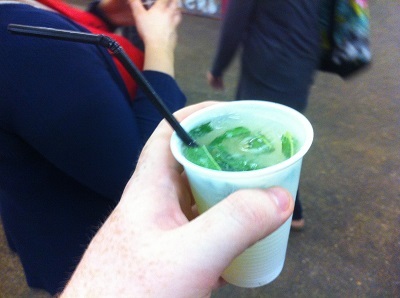 It was really delicious, but it was so tart that it lasted me a good long while. Okay so this wasn’t a food list thing, it was just delicious. There was a Lithuanian food stall that offered dumplings, mashed potato and a whole lot of meats in gravy. If I could have had my way I would have eaten a lot more of their stuff, as well as pretty much EVERYTHING in the surrounding stalls. Oh well, I’ll have to come back! One of the many Indian supermarkets had a big unlabelled bag of longans (also known as dragon eyes) next to the till. I was in there buying spices that I need to use later – and I just happened to recognise these fruit from having pawed over the book numerous times. My big issue with these were the size of the seeds. On the whole they were nice enough. They had a dry sweetness in the same way that green grapes do. 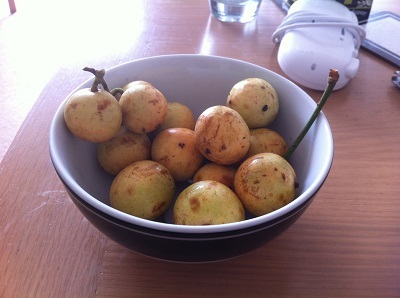 Tastewise they were a cross between apple and lychee. Not bad. So whilst we were going in between the markets we came across an organic shop (cannot remember what it was called now… great) and I found that they had two list items. The first, as you can see above, were Griottes. I know next to nothing about hip-hop, but even I have heard of the Beastie Boys. Giant robots in music videos, Futurama appearances and an bald substitute teacher doing ‘Fight For Your Right’ at a school talent show. Yes, I am not a stranger to these white, middle class, Jewish rappers. 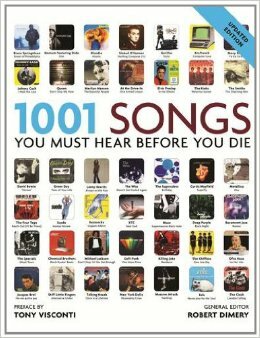 As I listened to Licensed to Ill it was rather shocking how many of these songs rang bells. Aside from the already mentioned ‘Fight For Your Right’, I have already come across ‘Girls’, ‘No Sleep Till Brooklyn’ , ‘Brass Monkey’ and a few others. I have no idea where from, I just knew them. 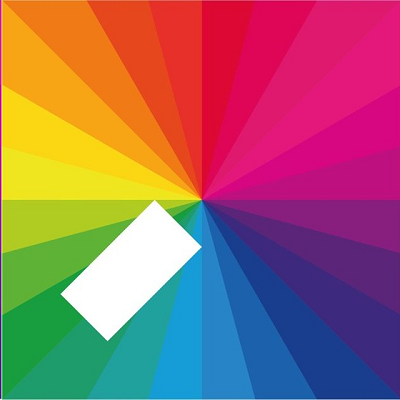 One thing that is to be said of this album is that whilst it is most definitely a hip hop album, it feels a lot more punk rocky. Like if the Clash had taken up rap music. There is just so much life in this album, that you can happily skirt past some of the weirder jarring elements (like the sampling of the Green Acres theme song) and appreciate it as something that truly influenced a lot of hip hop music that followed. 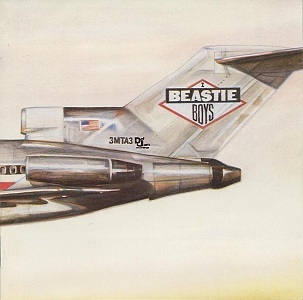 It is interesting to note that other than the Beastie Boys there are only two other white hip-hip acts with albums on the list (and by the time this goes it The Streets may have dropped out). Right off the bat – it was really hard to find an image for this film that was not grotesque. The reason being? 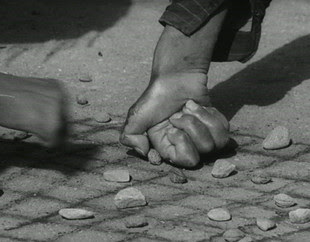 The House Is Black is an Iranian short film about a leper colony. At only 22 minutes long this is a hugely impactful movie. As a documentary it combines scenes of the incredible scarring and disfigurement that leprosy brings with their treatment and voiceovers of either a poetic or religious nature. Contrasting the voices of people phrasing Allah with leprosy suffers who are having growths cut off of their feet with nail scissors is heavy-handed and rightly so. Consider this. The House is Black was made 50 years ago. Back then, this was a curable disease. And yet, I remember being a child and watching a Blue Peter appeal that was asking for people to raise money through ‘Bring and Buy Sales’ in order to treat leprosy. Something that could be cured with £21 worth of medication. This is one of those strange things that stayed with me, that for £21 I could buy 7 CD singles from Virgin Megastore or I could cure someone’s leprosy. Nice work Blue Peter. The point is, if this was curable back in 1962 and was known to be curable back then… what the hell were we doing for 35 years in not eradicating this? I mean we are getting there now (despite the face that whilst the UK has not had a case since 1901 there are still new diagnoses of this in the USA! ), but until that point films like The House Is Black remains relevant. Although maybe, just maybe, this film will remain relevant whilst there is still a gap in disease prevention between richer and poorer nations. Hopefully, therefore, this film will not be relevant forever.